The success of Vermouth Carpano has far-reaching origins. It was in fact the year 1786 when Antonio Benedetto Carpano created it in Turin. In his winery in front of the Royal Palace, sure of the quality of his product, he decided to send a basket to King Vittorio Amedeo III. He liked it so much that it soon became the aperitif for excellence and the favorite drink of Turineses. And the story, we know, has led us to this day. Let’s go back to tell the story of this product from the inimitable recipe – also grown thanks to the love and abilities of Fratelli Branca Distillerie – for such a simple and important reason: Vermouth Carpano took part in the process which led to the legal definition of the denomination ” Vermouth of Turin “. As a historical representative of the category, Carpano has supported this project, reaffirming its focus on product quality, territory, and people. The Institute will, in fact, support, promote and enhance the quality of the Turin Vermouth and its diffusion on markets, including internationals, thanks to the synergistic work of all producers. In this sense, the close collaboration with the Agricultural Associations, the Department of Agriculture of the Piedmont Region, has been crucial, since they have strongly supported, with the producers, this new life of Vermouth in Piedmont. 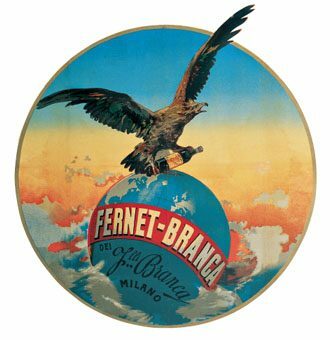 Among the founding members are companies the likes of Berto, Bordiga, Del Professore, Carlo Alberto, Chazalettes, Cinzano, Giulio Cocchi, Drapò, Gancia, La Canellese, Martini & Rossi, Mulassano, Sperone, Torino Distillati, Tosti. The headquarters of the Vermouth Institute in Turin will be in the Piedmont capital, just where it all began. Do you want to know more? Read the article that the magazine Bargiornale has dedicated to the theme on the May issue.